I’ve just arrived back in Colchester after witnessing another 90 minutes devoid of entertainment to hear that the tactical genius who is our Head Coach has criticised the White Hart Lane crowd for making it like an away fixture. To be fair the atmosphere was more than a little muted today but this is the first home game since the Club sent out its questionnaire asking for our views on the Y word argument so maybe there had been some reflection. We are accused of creating “much anxiety” on the pitch which provided “negative energy” to the players on the field. My own view, for what its worth, is that the tactics we have been employing have created much anxiety in the stands to the point where we are nervous about any game. For at least three years teams have been employing the same “good strategy” to combat our play and in all of that time we have learnt nothing at all about how to overcome it. It cost Harry his job for had he worked it out we would have made the Champions League and it threatens our current management squad who despite a reputation for strong preparation appeared totally surprised and without another option to use when teams don’t roll over and accept a beating. Andre suggests the Hull employed a “great work rate” so why didn’t we? I hear every week positive things about Paulinho but for me he slows us down every time he takes possession and appears to be trying to fulfil a role he is unfamiliar with. Like Sandro when he joined he looks a bit overawed by the English game and needs time to get up to the pace but should it be in the public eye all of the time. All of our midfield appears to like to take the ball deep. Whoever plays up front is totally isolated and for most of the games the centre forward has not received any service whatsoever. We focus on the high line and most of the time lack width so we reduce the pitch to such a small box that it becomes easy to defend against and hard to break down. This afternoon in the first half we focused on trying a myriad of intricate flicks in an effort to break through and lo and behold none of them came off. Those of you who go to White Hat Lane will know about the warm up game that the 10 onfield players undertake during the warm up. Our games are becoming like that. Our tempo is slow and each game starts to look like a pre season friendly. We end up playing the ball across the back to the midfield and then return it to the back four. It’s comfortable but ineffective. In my book the centre backs are asked to participate too much. I appreciate that the game is changing but the midfield has to take responsibility for moving the ball not the other way round. This was always my beef against Jenas and Huddlestone when they played together but it seems to me that our current crop is drifting that way. The exception is Townsend who has taken his chance and run at defences creating havoc in earlier games. Today wasn’t his best performance but he is still young and won’t play brilliantly every week particularly as he gets used to more attention. Last year we got used to the brilliance of Bale but in truth it wasn’t great for the team. But I couldn’t work out who was in charge. Bale or AVB? Bale started the season on the left, beat men crossed for no one to get on the end of it and then started to play more through the middle hitting shots and converting free kicks. He clearly had no faith in the forward man. At the end of the season he played on the right cutting inside for moments of brilliance. By the last game we were waiting for it as much as he was – no one else was going to. This year the influx of new players provides us with a greater platform for a team effort and I accept that will take time to do. But so far we have seen a repeat of last year with Townsend replacing Bale and with Lennon injured Sigurdsson playing out left. Only he doesn’t do that creeping inside at every opportunity. Granted he has scored goals and wants to play a more central role but isn’t he in to provide chances for Soldado? Today Lennon was back and started on the left. He has played there before but it is not his best position. When it wasn’t working should they not have swapped to allow him to get out wide right and work with Walker who he knows well? It did happen but only in the second half. We complain like mad about Steve Harper wasting time or players going down injured but we waste half the game before we put players on the correct wings to create crosses for a centre forward that I would like to work out is better than Defoe or not. We will never know if we carry on playing as we have been. But this isn’t the only crime committed. Playing Naughton at left back was nonsense as he appears to have never kicked a ball with his left foot. It just can’t work effectively and he has now dropped to the bench. But the worse bit for me is actually sending Naughton out to his death in the first place. How does that help his confidence in the long run? My Father always told me a one legged man would be no good at an arse kicking contest but I fancy that Andre might try it a few times before accepting it! Sandro also started today and wasn’t at his best giving the ball away a few times. He was replaced at half time and whilst it called for a half time substitution should Dembele not have come on for Paulinho to reunite their successful partnership of last year or Eriksen come on to play further up the field allowing Holtby to come deeper alongside Sandro who needs playing time. What we miss is a number 10 and we had a good one of them before allowing him to leave last season for a former club. In conclusion I think that this squad has the ability to be something quite special but I fear that the tactics being employed are preventing them from fulfilling their potential. To quote Andre we need what Hull had today, “good strategy” and “great work rate” so that the team get the crowd onside by reducing their anxiety. In Hoddle’s reign I thought the players became confused by the tactics employed and began to look anxious and unhappy. Looking at Vertonghen today that seems to be returning. Us fans get paid wages for the jobs we do and have ordinary mundane lives. We come to The Lane to be entertained by the team and support those we believe in and those who try – as demonstrated by Townsend’s reappearance on the field – so Andre if you do your part of the bargain then we will do ours without reservation. It’s your job to get the tactics right to give us something to cheer and clap. Spurs have become boring to watch and it is your job to fix it. If you don’t goal difference will be your undoing come the season’s end! Have we embarrassed ourselves enough yet? Another NLD defeat! I’m a bit out of practice with all this but I come back in with the same score line that left me, like some of our players, so mentally scarred that I couldn’t bring myself to write about it. A shame really as the previous home game against Newcastle had been such a great night of emotion that I really should have shared some thoughts with you about it. So why am I back? After all there is a big Tottenham community out there sharing news and views with you so you probably haven’t missed me for a single minute. I need to write this for the reason I started doing it in the first place – to get a few things off my chest. I’ve sat through quite a lot since my last piece but have stayed in touch with people’s views via my twitter timeline making occasional comment about this and that but where the club sits at the present time cannot be dealt with in 140 characters. Well it can, but you need to expand on “utter shambles” to get people to understand where you are coming from. Those of you who read me before will know that I liked a lot of things about our previous manager but there were some things I didn’t. I loved the entertainment he brought after the Ramos experience and the climb to the top of the hill but his ability to not stop talking was often a downfall. I expected him to be put in prison and still can’t believe the poor case put up by his prosecutors and it was then odds on that we would be the next England manager. From that Arsenal game our season fell into free fall and I well recall suggesting to my brother that “if H wasn’t going to England that his job would be under threat so poorly were the team playing.” Never more was that shown up in the FA Cup semi final at Wembley where Chelsea tore us apart in dramatic fashion and we conceded another 5 and it could easily have been 6 and for me that was one of the most disappointing days as a Spurs fan but we still toughed it out till the end. Leaving Wembley that day to stand in line for a train surrounded by delirious Chelsea fans was pretty hard to take but we did the best we could whilst trying to understand how a team including all the marquee players could go down so badly. That game showed that Harry couldn’t lift his players or on that day change it with any positive effects. Like yesterday a lot was made about one incident – in that case the goal that never was – but we were overrun and without any answers just as we had been when Arsenal had scored 5 unanswered goals to hammer us at The Emirates. The scars of both games run deep and I still can’t watch the goal where Ledley was marking Kaboul leaving the whole of the right side open to attack. By the season’s end we were had returned to our place as the whipping boys at the hands of our London rivals and the Chairman decided to make the change. Was I sad about this? In some ways I was as I felt getting a better man was going to prove difficult. We’re not the club with all the cash so securing for the long term the most expensive players is not going to be possible. As a result all the top names are likely to dodge us because they need unlimited funds to assemble themselves a squad to take on the financial clout of the Manchester’s and Chelsea so it’s a no go without Champions League year on year. Add to that the financial burden of building a new stadium – and we can see from our neighbours how this affects the transfer budget – and it’s a “not at the moment” call. Having said that the heavy defeats that I saw last season showed just how difficult it was going to be to push the side on from there and our form in 2012 full stop has been miserable to say the least. So we come to appointing a new manager in the close season and it clearly proved to be a difficult job. In asking our previous man to leave our Chairman was making such a serious statement of intent that any appointment he made had to be the right one. He had to be certain that the right man was lined up and ready to take over keeping the existing squad in place and adding important signings to provide the back up we were missing last season to keep the squad fresh and bench packed with talent. 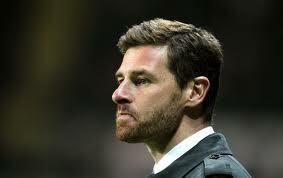 For me Andre Villas Boas was not that man. His tenure at Chelsea had been a disaster upsetting the squad and his removal saw dramatic change in their fortunes with reinstated stars carrying them to victory in the FA Cup and Champions League final. Speaking to Chelsea fans that I know and on the way back from Wembley few of them had anything positive to say and my own impression was of a man who quickly adopted a siege mentality hiding behind a beard and talking a lot of nonsense in post match conferences. So if Spurs appointed him he had to have learnt lessons from that period of not trying to bring in too much change too quickly or ask players to try and play in a style that they are not comfortable with or exposes their weaknesses. The other big question mark is over his age. Was his experience of management of sufficient longevity to be given another go in the Premier League after a poor experience so recently? Would another period abroad provide him with greater tools to return to the Premier League later and show us all how wrong Chelsea had been to let him go too soon? Whatever the rights and wrongs of it he was duly appointed and immediately talked about playing a high line and a pressing game. My thought on the day of appointment? If this doesn’t work Levy has to take ultimate responsibility for another serious mistake by standing down on the day he is dismissed. Why? Because it’s not AVB’s fault that he was given the job and he can’t be blamed for being appointed. That is another man’s job. AVB had every right to apply for the post or agree to have his name put forward for it. It was up to our Board to look through the CV’s received and select the best man and if AVB was really the best man then the previous decision was maybe made too hastily or without sufficient understanding on the potential quality of the interested parties. That’s a serious error of judgement and you cannot ignore that. If, like me, Levy didn’t like Harry talking in public on anything he was asked about when keeping his trap shut would suit everyone better then they needed to talk about it but was it a reason to dismiss? Both men played a game that has ended up as a car crash and we the fans are now feeling the full brunt of it. Certainly both parties has an ego and it appears that they were too big together for one house so if one has to go and it turns out it was the wrong one that went then shouldn’t the other soon follow? There is already form for me in this regard. Glenn Hoddle was a popular choice when he returned as manager with George Graham sacked after a brilliant away win in the FA Cup at West Ham providing him with a semi final against Arsenal. That change was well supported as George, being an ex Arsenal man, not the most popular man with the fans but it set us back a long way. Then there was the circumstances surrounding Martin Jol’s dismissal and the Ramos period after our Wembley win which was absolutely dire. In both those situations it was hard to see where the next point was coming from and for me we are already reaching that point again. So it looks like making appointments is not the Chairman’s strong point and onto this we must add all the nonsense over sales and signing of players. My impression is that he is a man who cannot decide when he has struck a deal. The Lloris deal showed this up with the French talking openly of renegotiations on previously agreed points and his last minute activity in every window compounds this. So is it really Daniel or his big boss man telling him he hasn’t done it right leading to these re-visitations? Whatever, it will no doubt make us be viewed with suspicion throughout Europe and that doesn’t bode well for the future. Whether he should ultimately fall on his sword or not I doubt it will happen but I can’t believe I am the only Spurs supporter that worries about what’s behind the fence covered in photographs of Modric 14 and Keane 10 depicting Daniel’s images of how the new stadium will look. It’s a big piece of land already cleared to provide this new stadium of only 20,000 extra capacity at no doubt huge cost to build which if he is not careful could turn out to be the biggest disaster in the clubs long history. Only time will tell but it’s remains a concern for me. So let’s talk about the performance so far this season. In 2012 I think from memory I’ve attended every home game apart from QPR and was at Wembley, as I said earlier and also went to Old Trafford. Of the other away games if they’ve been live on Sky I’ve seen them and always watch at least extended sky highlights or a stream of the game. Why do I mention this? Well because on the twitter timeline I see lot of criticism for Spurs fans doing this or that at the game and hear about things being disrespectful. I don’t boo if we play badly and I do stay to the end. I don’t believe in walking out on your team if you’ve decided to make your way to the stadium and I think its important to say this because you get a much more objective view of the game from the stands than you ever can watching a stream or a game live on TV. From North Upper I could see against Wigan that Clint Dempsey was having a mare of an afternoon, that Bale wasn’t getting into the game and that Defoe had no service to speak of at all and no chances to score. Every single person in the upper stands could see that the change was Dempsey for Adebayor and yet Defoe was taken off. I don’t agree that you can tell this sort of stuff at home as well as you can in the stadium so you have to give some credit to those who have paid and travelled to go. Booing might not be the answer but that is only frustration coming through at a poor decision from the coaching staff. Back to my thoughts. I think we all knew that Luka Modric would not be a Spurs player for the season ahead and at the end of last season I was happy enough to see him leave the club after giving his best for us so we needed to replace him. My thought process was that Rafa would come more into his own in 2012/13 and he himself was saying as much during the summer. Some of you will point at his lack of stamina or tight hamstrings but wouldn’t you agree that 60 minutes of the man and a win, or Bale and Lennon being involved in a game, is better than nothing now that Dembele lies injured? I think it is the Chairman who says “We don’t sell our best players” so can anyone explain why Rafa went so quickly. Yes the money might have made us a profit but had he been convinced that he was to be our main creative player in 2012/13 would he really have wanted out? The first game at Newcastle saw Rafa on the bench because Sigurdsson had been with the squad more on pre season so it was an easy decision for AVB to make. Only until we went one down and then Rafa was introduced and helped get us back level before he helped concede a penalty for 2-1. Three points lost, but could it have been three points won if he had played 60 minutes? Pure speculation on my part but I would rather have seen that. As a Spurs fan I go to be entertained. I know Rafa does that, so far Sigurdsson has not and he is now on the bench. It was around this time Tommy was being offered to Stoke and Daws to QPR so potentially that makes 3 players who had been quite involved during Harry’s reign who were being pushed away. Question 1: Had the errors we saw in AVB’s game regarding keeping top personnel onside been eradicated? My view on this – in a word No. With Modric on his way out a replacement needed to be found. Dembele arrived from Fulham and here we have a player of ability, some strength and appearing better in the tackle. He also got on the score sheet straight away which was a bonus. Some light at the end of the tunnel but with Rafa then being let go we weaken ourselves only to fail with the long talked about move for Moutinhio. Everything to do with that was pure Tottenham. We started late and unprepared maybe not realising that he had third party ownerships and then missed out. We did secure Clint Dempsey who I had quite fancied at the end of last season but missed out on Berbatov if an opportunity existed to nick him but we did eventually get Adebayor. This added to Vertonghen who has looked a decent acquisition but at the end of the window my perception was that we were weaker than before. The games have shown this and after Dembele went down injured for Belgium we have not been able to get back on course. West Brom was our first home game and an extended delay on the M11 allowed only 20 minutes of action to be viewed and it was pretty dire with West Brom looking the better side to me. Norwich showed more of the same so at this stage three games produced two home draws against sides we should defeat and a loss at Newcastle which maybe could have been avoided. The worst thing about it was that in the home games we had not played well at all (in the bit of West Brom I saw). This might be because we missed Luka and Rafa which we clearly did but were the new players gelling with their team mates? Vertonghen was doing ok and Dembele when introduced but we didn’t get going at all and were too easy to stop. We went to Reading and won 3-1 annoyingly giving up the clean sheet right at the end. A better performance but Reading were awful and we should have scored more goals – our old enemy from last season returning to frustrate us. Against QPR a hideous first half was overturned into a 2-1 victory and we then went to Old Trafford looking for our first win forever. I had been mocked by colleagues when I suggested that AVB would win here because he couldn’t win anywhere else and so it proved with a fantastic first half performance providing us with a sufficient platform to hold out for the win. That first half saw another brilliant performance from Sandro who has been our best player so far this season and a great goal from Bale. We then made it 4 wins on the trot beating Aston Villa 2-0 but again with them down to 10 after making 3 subs and then suffering injury we then played keep ball instead of finishing them off with another couple of goals. Chelsea followed and we were lucky to go in only 1 down before playing brilliantly for 15 minutes to turn the game around 2-1 in our favour only to let them retake midfield, split our defence to go back 2-3 ahead before Walker’s mistake made it 4. Unfortunately Walker’s form has been poor to the point that when he came off against ManCity I was hoping he would sit out a couple of weeks to get his breath back. The loss of Bale just prior to the kick off was a disaster for us and had he played we would have given them more problems but at the end we see another bad defeat against our London rivals but a better performance than at Wembley. We went to Southampton, failed to put the game away before half time and then looked likely to hand it to them in the second half and we then blew up badly away at Norwich to exit the Capital Cup with a decent side involved. That brings us to November and the Wigan game. Having heard AVB telling me after Chelsea that the season doesn’t rest on one game and we have 30 more to judge it on we then get bad day at the office and we are entitled to one or something similar. Sorry to say that no one is entitled to one of them and the entertainment provided by the Tottenham team that day was non existent. Maybe Wigan were good but we were just so bad it was untrue and with Dembele still sidelined we had no tempo in midfield no way of getting Bale or Lennon into the game for any extended periods and we just couldn’t do anything. It was so bad our money should have been refunded. If we played like that at ManCity we would get hammered and if Sandro wasn’t back it had to happen. Thankfully he was and was excellent and City were poor for the first half but we gave up the game once again from a winning position and Defoe, fresh from his hat trick, eventually came onto the field of play. This was another decision I couldn’t really see. Dempsey has been struggling with his form and the formation as he tries to settle in but got the nod once again. He had a bad game. The manager once more talks about equalisers being pivotal moments but our lack of possession proved once more our undoing. Every ball hit across to Lennon left the playing surface. We were poor. If we can’t pass we certainly can’t score and so it proved with Caulkers goal coming from a first half set piece. And so back to The Emirates. Scene of the 5-2 humiliation last year. 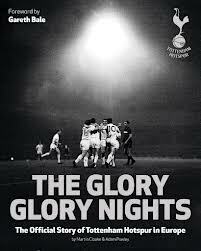 On that occasion most of the 60,000 present felt Spurs would win and the relief when they started firing bullets and scoring was evident both on and off the field. This time around probably half those present felt it would go Spurs way if they played well and we opened the scoring before Ade was sent off for a silly challenge. I’d love to say that the game fell by that decision and I agree that I certainly did not help but as a Spurs fan I know that when you go to Arsenal you have to be ready for that period in the game when they get their tails up and really go for it. At that moment if you are not up to the test you concede goals and quick goals and yesterday we did it again just as we always do. Even in the game we won 2-3 at half time we were two down conceding under pressure and looking to have no answers. We also had the 3-0 when they scored direct from the kick off while we brushed our kit down, a three nil in 2006 where we were very poor and the 4-4. I was at that match, it could have been 8-4 to them but we didn’t give up a lost cause that night and escaped from 4-2 down. Yesterday was no better than last year. Naughton at left back was ridiculous and Bale not assisting him was worse. Naughton should have been at right back and Vertonghen left. 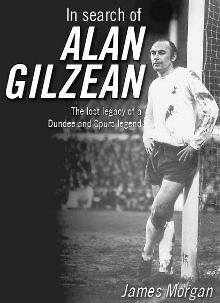 If Dawson the man who can’t play PL football can be introduced at 3-1 down he certainly could have started with Gallas. Like Rafa at Newcastle go to Daws when the chips are down and the position is practically impossible. Yes we might have made a better fist of it in the second half but we still lost it by only 2 goals to 1. I like the idea of a back 3 but I don’t believe you can suddenly go to it at half time as it surrenders too many substitutions. The space that it opened up for Arsenal could have made it an even worse defeat and to stick on Tom Carroll instead of someone with more experience like Sigurdsson or Livermore suggests we’ve reached rock bottom. Then there is the goalkeeping situation. 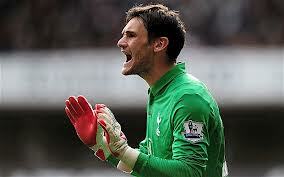 Granted Lloris made a couple of good saves yesterday but he let in 5. Can you choose between them? But worst of all is the nonsense spoken after the game by AVB. Controlled the game? He always talks about this and in periods we do but for question 2 I’d ask: Is this control resulting in enough goals to allow us to have the periods when we don’t even get close? I’d say No by reference to the goals scored and points won so therefore we need to wake up and smell the coffee. 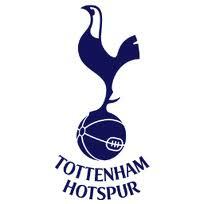 We play West Ham next week who have been playing well and will relish a game at White Hart Lane. We follow that with Liverpool, a side like ourselves who made a managerial change in the close season and are learning to adapt. If we lose both of those games it’s “no points November” the sort of thing we haven’t done for quite some time. That means we need to win a lot of games on the bounce to get ourselves in touching distance for Europe next season and securing some of our star names wanting to stay on our books. If I was AVB I would need to be proud of my players yesterday because it wouldn’t surprise me if he is close to losing the dressing room. After all he’s lost Rafa, Daws is offside but staying loyal, the keepers are unsettled, Adebayor and Defoe frustrated, Dempsey out of confidence and the man who could make a difference on the treatment table. Yes we also have others out injured so his best 11 have not been available to him but has he really got the team ready to play in the way we need to in these circumstances to get results. Tommy looks slow and lifeless and not up to running the midfield. For a man of his size his tackling has been dreadful and his heading not much better. Yet it was he and Luka who played and kept out Arsenal and Chelsea in a few days only a couple of years ago. So he could do it so why not now? At the end of Hoddle’s tenure I was convinced that the players did not understand what was needed from them. I had the same feeling when the Ramos reign came to a close. It looks similar to me here. When Bale broke and had a chance to cross but shot instead Defoe’s reaction to him summed it up. Bale may think if I don’t do it nobody will and at 4-3 anything could have happened. Roles reversed and Bale would have been cursing at Defoe who would likely have done the same for the same reasons. We’re not playing as a team unit and it shows up to readily. The number of Arsenal crosses from the right wing yesterday showed a lack of responsibility from Bale to help out and as a left back surely he remembers how he moaned at a left winger if they didn’t assist him? We’ve always been the champagne team and that make us vulnerable to conceding goals. We did fix it for a time but it keeps returning to haunt and embarrass us. Essentially football is a very simple game made difficult by particular individuals to make it seem more important. The aim of the game is to score more than you concede. Most footballers understand this but get confused by all the razzmatazz that goes with it and the coaching instructions they receive. Simple instructions would suit our manager now but I fancy he will get evermore technical as he puts in more hours to try and fix the problem. If we gave Sandro more help to plug our midfield in the current predicament wouldn’t that help? That could be 3 at the back, Bale and Lennon as wingers and another tackler in midfield. It might be one up front. But whatever it is please don’t continue ploughing the same furrow that has proved so futile so far this season. 12 games down and only 2 (Man U/Reading) might be considered as good performances throughout. That is just not good enough for a club looking for Champions League and a manager saying he accepted to job to achieve this – question 3: Did he mean this year? Whilst the injuries are a problem I consider that we should and could have a stronger squad to handle this at the present time had the last window been handled better. As I said earlier “utter shambles” is how I see it and I hold Mr Levy responsible for it. As a Spurs supporter who goes to games I can say I am sick of these thrashings from Arsenal and Chelsea. We always talk the talk but we don’t walk the walk, we’ve threatened it but the last four games have been worse than what we had before. We are supposed to be pride of North London not the laughing stock. As I said to a disconsolate and loyal Spurs fan sitting head in hands waiting for the crowd to disperse at the final whistle of the Chelsea game “we won’t win anything while Levy continues to run the Club.” I hope I am wrong but I fear I’m not.